Adobe and Teardrops: HEY! 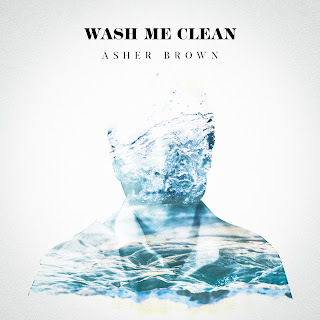 LISTEN: Asher Brown -- "Wash Me Clean"
HEY! LISTEN: Asher Brown -- "Wash Me Clean"
I keep getting all kinds of great music sent to me but, as has been the case for the past five years, the amount of music I want to get to is far greater than the amount of time I have -- and that's especially true of the podcast, since I'm limited to five songs a week. So this marks the first Hey! Listen! column on Adobe & Teardrops, where I'll tell you about songs that are fresh and now -- and get to them on the podcast later. In 2018, Asher toured extensively throughout Alaska, Canada, China, Japan, South Korea, and Taiwan as a solo musician supporting his debut album, Pitchforks. Now, back home in the Midwest, Asher is busy recording his second full length record, due out this summer. Rachel wrote a comic! Check it out here! Send us music via SubmitHub. Send us money via Ko-fi or Patreon. Subscribe to the Adobe & Teardrops podcast on your favorite app!